WikiLeaks founder Julian Assange said on Tuesday the publication would release about one million documents related to the US election over the next 10 weeks. 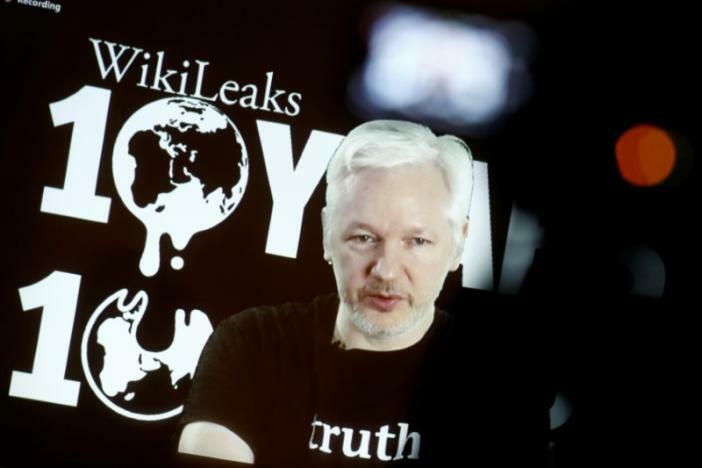 Assange announced the release schedule in a video address at a press conference in Berlin, where the organization is celebrating its 10th anniversary. Assange, 45, who has been living in the Ecuadorian embassy in London since 2012, said that the upcoming documents will be related to Google, the US electoral system, arms trading, war, oil, and mass surveillance. The documents will be released on a weekly basis over the next months. The data related to the US presidential election will be published before election day on November 8th, he clarified. Prior to today’s press conference, media was abuzz with anticipation of what has been termed as an “October Surprise” that could affect the US presidential election. However, the press conference focused more on its anniversary and responding to criticism than talking about the election season. When asked, Assange denied if the upcoming release was aimed at damaging Hillary Clinton. “There has been a misquoting of me and WikiLeaks publications … (suggesting) we intend to harm Hillary Clinton or I intend to harm Hillary Clinton or that I don’t like Hillary Clinton. All those are false,” he said. Upcoming releases follow WikiLeaks’ publication in July when over 19,000 emails from top officials in the Democratic National Convention (DNC) were published. The emails included full names, addresses and phone numbers and suggested that DNC favored Hillary Clinton over her primary rival, Bernie Sanders. July’s publication also led to the resignation of chairwoman Debbie Wasserman Schultz. Prior to the press conference, Republicans suggested that WikiLeaks release would be devastating to the Clinton campaign. However, Assange declined to answer if the upcoming leaks would tilt the election toward Clinton or Trump. “I certainly feel sorry for Hillary Clinton and Donald Trump. These are two people who are tormented by their ambitions, in different ways,” he said.